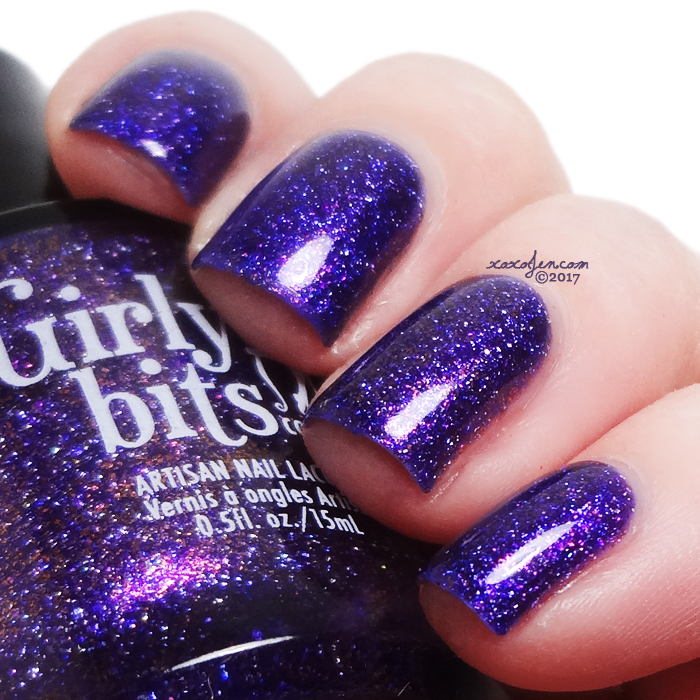 This week's launch will feature week 8 polishes from Girly Bits and Noodles Nail Polish. Budget? Fuggedaboudit! 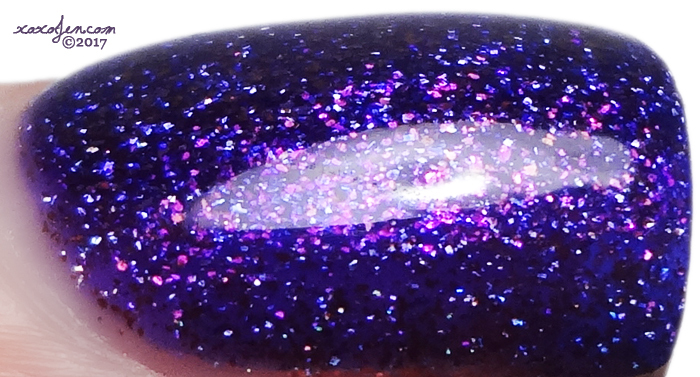 is a rich grape purple with a loads of copper to gold shifting flakes, and holo flakes. I used 2 coats and top coat for photos. The formula was slightly textured, but easily smoothed and removed afterward. Near, Far, Wherever You Are is a pale barely turquoise crelly base with gold, rose gold/coppery and silver micro and small glitter. I used 2 coats and top coat for these photos. The formula was smooth, covered well (no streaking) and I recommend the foil method or using a peel off base coat for most efficient removal. 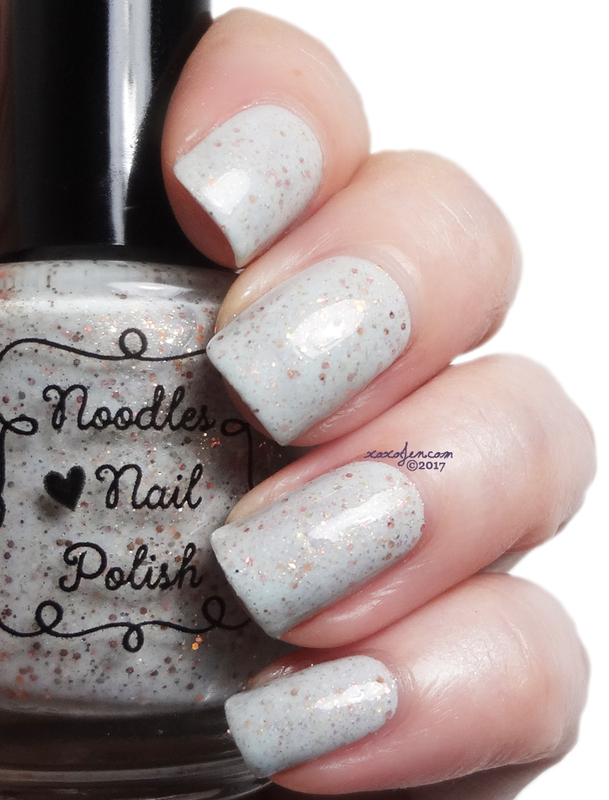 This was the first time I've tried Noodles polish, and I really like the brand so far. Near, Far, Wherever You Are is so pretty! Great swatches as always.